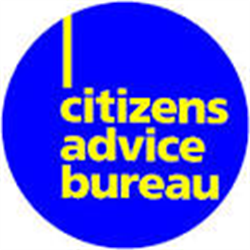 Citizens Advice Bureau are local, independent charities that provide free and confidential advice and information whoever you are and whatever your problem. Because Citizens Advice Bureaux are managed and used by people within the community, they deliver services that meet the needs of local people. They provide practical advice, negotiate on behalf of clients and even represent them formally, such as at tribunal hearings. East Ayrshire CAB is a progressive and innovative advice organisation providing both generalist advice and specialist casework services. We are seeking an enthusiastic and well motivated person with excellent leadership skills to lead a team of paid staff and volunteer advisers. The successful applicant will assist with the responsibility for the company’s operational performance, have a good standard of education; experience in managing and supervising staff; excellent organisational, inter-personal and motivation skills. In addition, the successful applicant will have experience of working in a field that provides money advice and debt solutions to a high standard. Knowledge of Welfare Benefits would also be a desirable attribute.